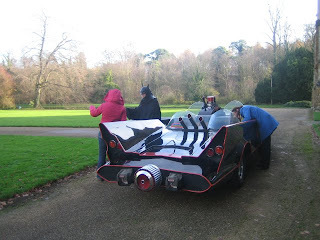 On Wednesday 19 November 2008 Batman and Robin came to Broughton Castle in their Bat Mobile! Is it a bird? Is it a plane? (Am I talking about the right super hero? -No!) Is it the real Batman and Robin? No! It was some of the teachers, pupils and parents of local Frank Wise School (Banbury) filming part their Christmas 2008 show – which was premiered at the local Banbury Cinema in December. 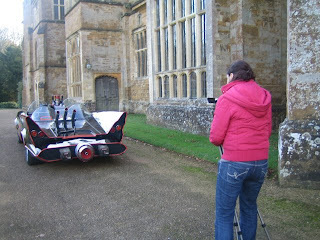 This entry was posted on Monday, January 26th, 2009 at 12:35 pm and is filed under Broughton Castle.